Southern Loggin’ Times August issue spotlights Florida’s 2012 Logger of the Year. He gets high production with one crew. McIntyre Lumber finds fame in efficiency. 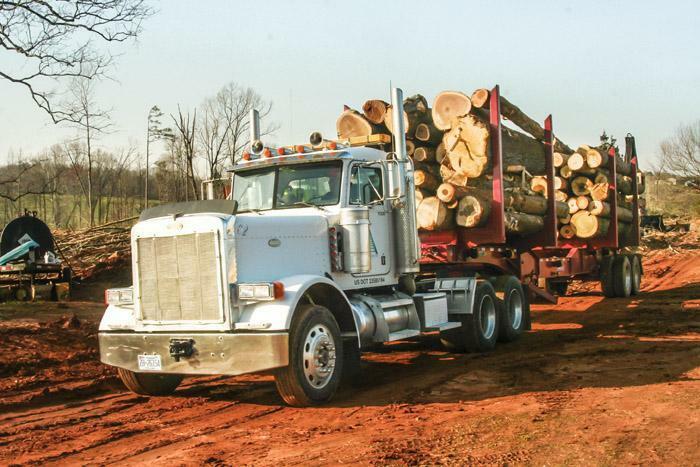 In North Carolina, a timber specialists’ owner and foreman work together to keep the ball rolling. Also, the Product Consultant from John Deere explains why a well-trained operator is a productive operator. 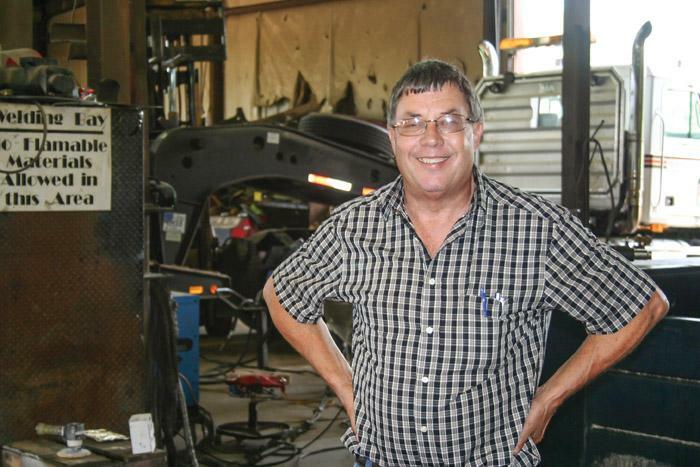 Southern Loggin’ Times magazine Associate Editor Jessica Johnson travels to Hilliard, Florida to spend some time with Pickett Logging, Inc. Harry Pickett does a lot of things. He proudly serves his church as a Deacon and Sunday school teacher. He’s a husband, father of three and “Sugar Pop” to five grandchildren. He attends car shows around the country where he shows off some of his own old beauties. 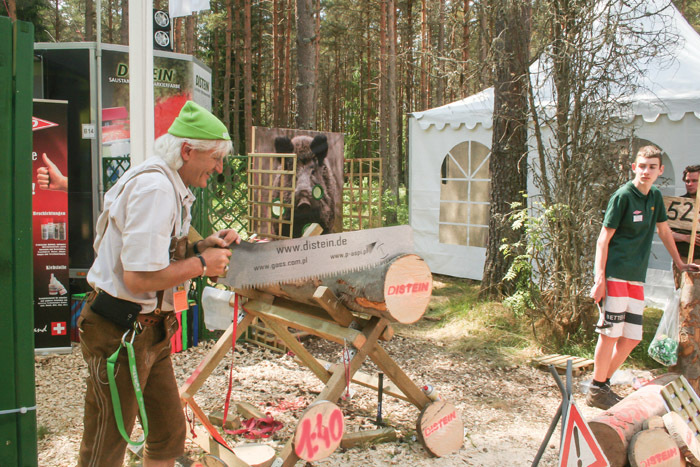 He’s a fifth generation logger that helps organize the Hilliard Timber Festival every year. 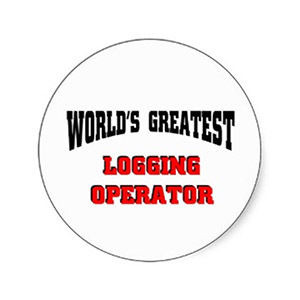 In addition to all of that, he can now add to his list 2012 Florida Logger of the Year, as selected by the Southeastern Wood Producers Association. 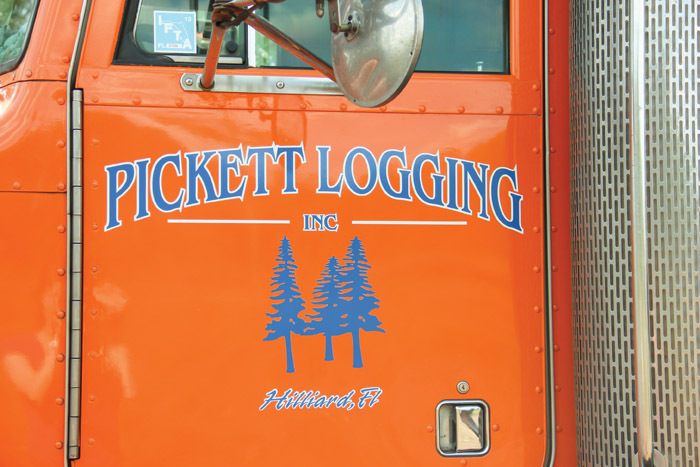 Pickett Logging, Inc. has been doing business since about 1995, he estimates, and while it was rocky in the beginning, things have smoothed out and are pretty close to perfect now. Southern Loggin’ Times magazine Contributing Editor May Donnell has the opportunity to visit McIntyre Lumber in Bowdon, Georgia. With five company crews dodging rain all summer on tracts as far-flung as Macon, Birmingham and all over Metro Atlanta, a “typical day” for McIntyre Lumber is becoming a thing of the past. Even with the Great Recession, which saw the temporary closure of the company’s long-standing grade hardwood sawmill, the three McIntyre brothers—twins Larry and Barry and younger brother Philip—have built a regional reputation for being meticulous and quick. 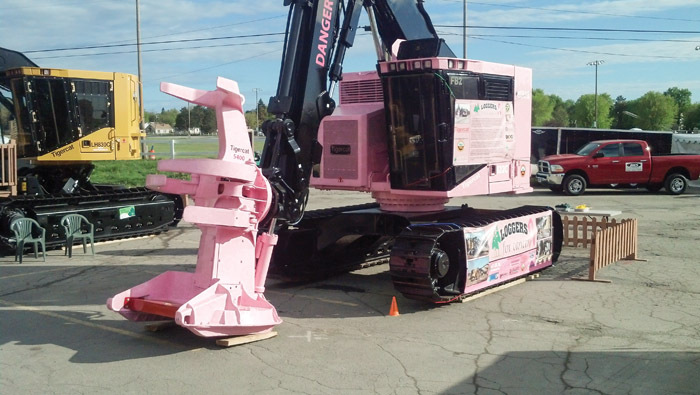 Walmart and Home Depot are among the companies that use their services for site preparation. They cleared the land for the fifth runway at Atlanta-Hartsfield International Airport a few years back. Earlier this year, a McIntyre crew made the nightly news when an angry crowd protested the cutting of trees on private property near Emory University. Southern Loggin’ Times magazine Associate Editor David Abbott visits with Timber Specialists, located in Statesville, North Carolina. It’s been a wet summer in North Carolina, and before that it was a wet winter. “I wish spring would hurry up and get here,” mused Jaime Hutton on a bitterly cold day back in early March. “This has to be the last snap of winter.” How wrong he was—the cold stretched on for weeks. Spring was slow in arriving, and even when it did, the sun failed to make an appearance for most of the first half of summer. Rain, clouds and unusually mild temperatures dominated until a heat wave broke out in the third week of July. Global warming, perhaps? Hutton is foreman for owner Eddie Johnson’s company Timber Specialists, and serves as Johnson’s right hand man. Johnson and Hutton make a good team. At The Margins is designed to help loggers manage and/or operate their business better. Each month an expert provides information, tips or advice on how to maximize profitability, enhance efficiency or increase business knowledge. This month’s column is provided by Carl Lockhart, a Product Consultant at John Deere Forestry. 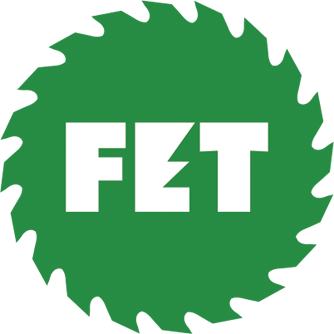 The title of the article is “A Well-Trained Operator Is A Productive Operator.” Click here to view the full article.